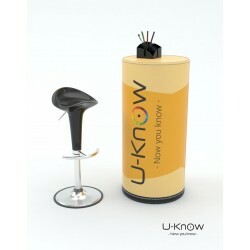 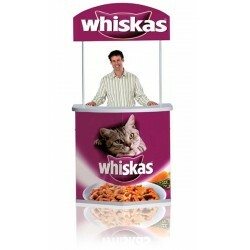 This fast assembly counter will allow you to promote your company effectively and inexpensively. 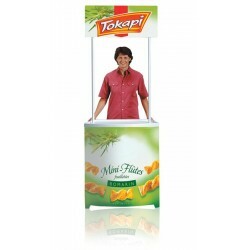 Delivered in a bag for convenient transportation !
" 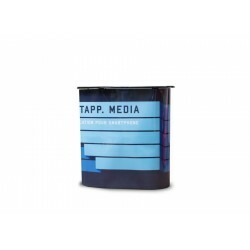 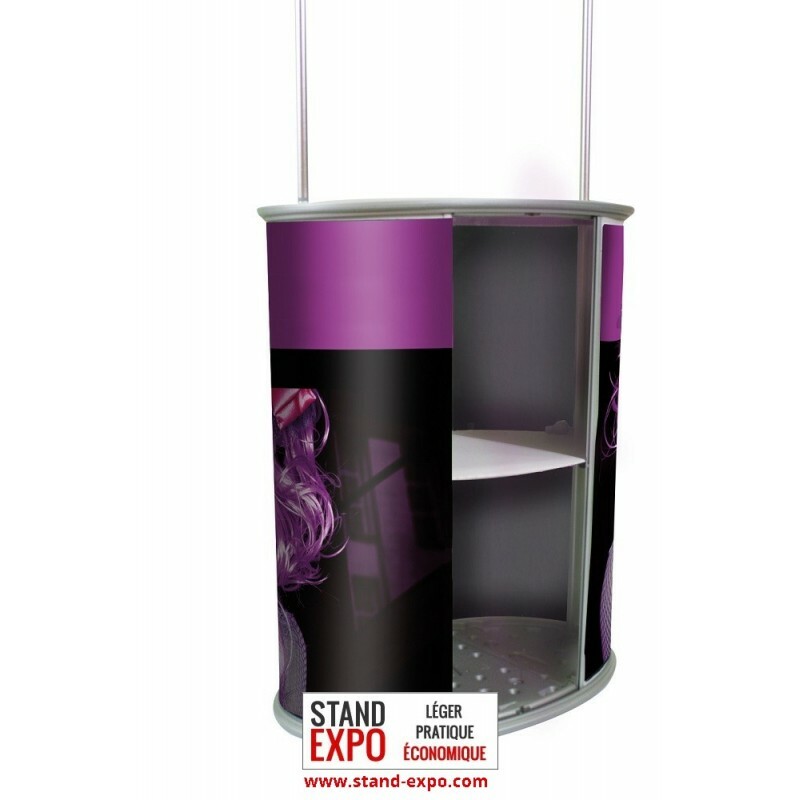 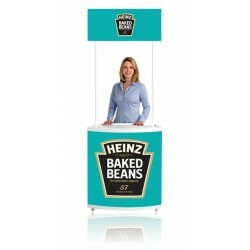 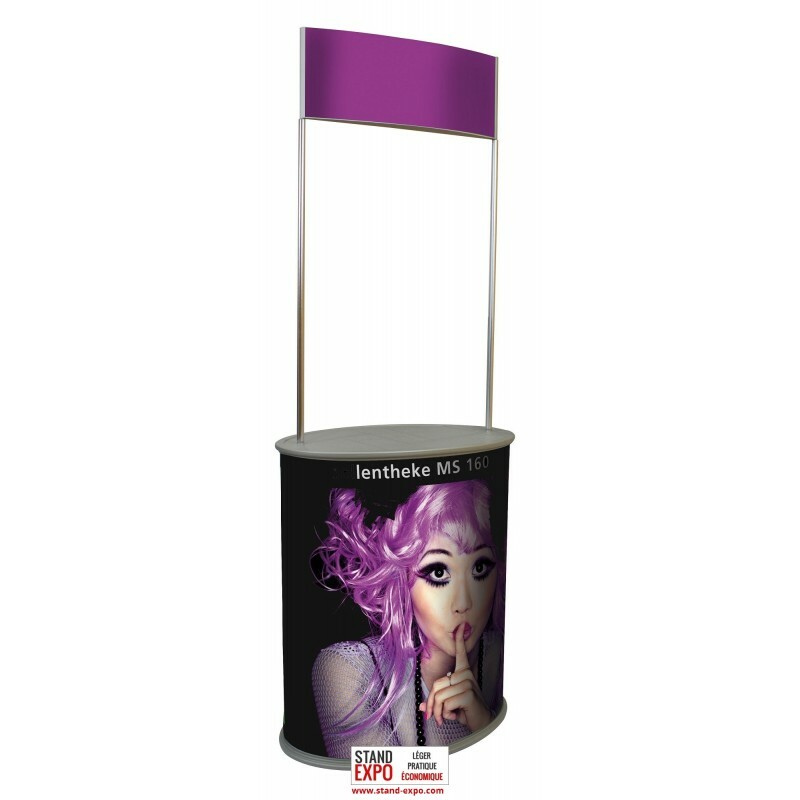 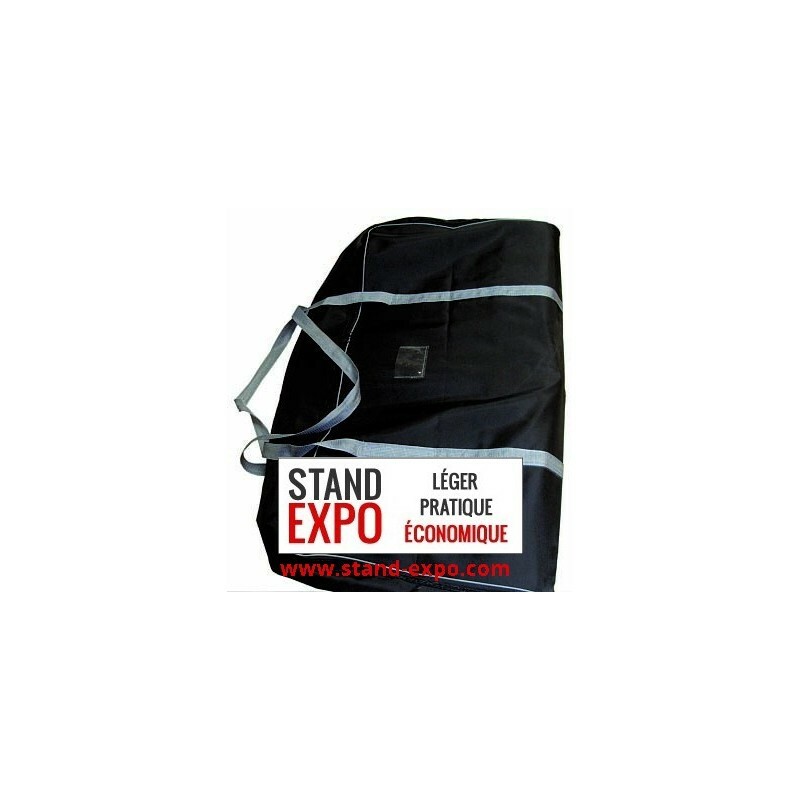 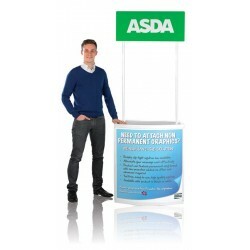 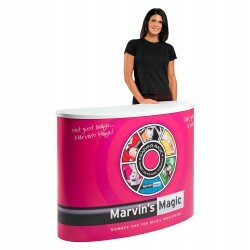 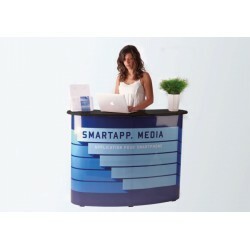 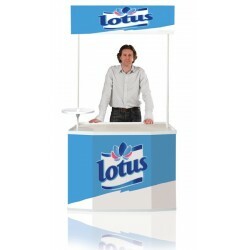 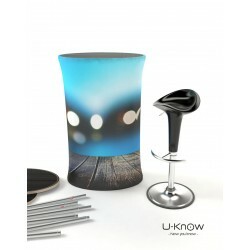 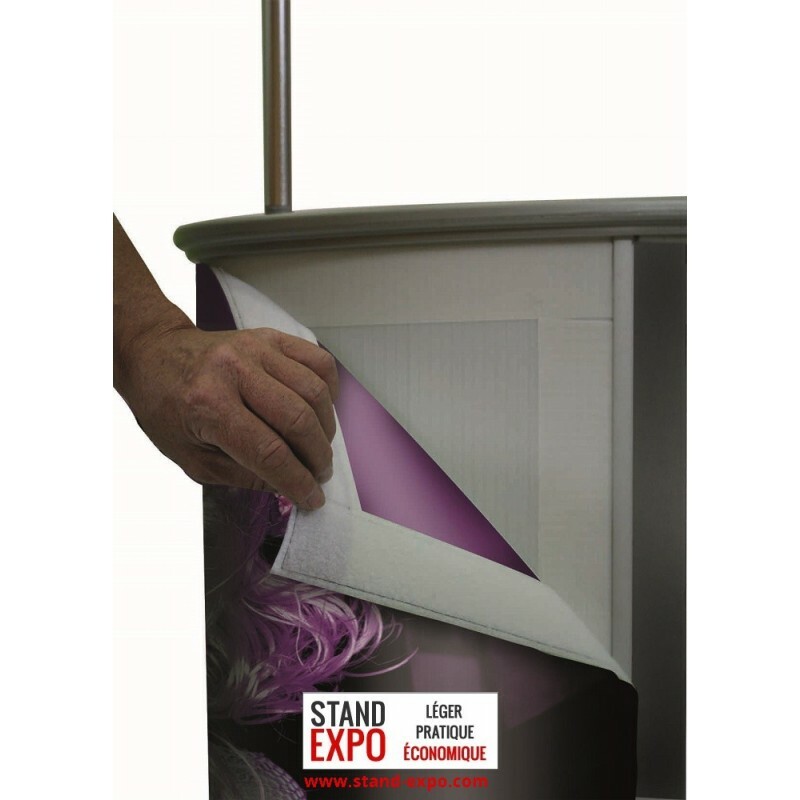 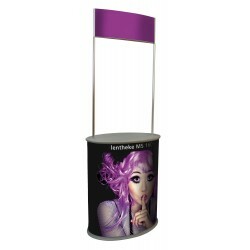 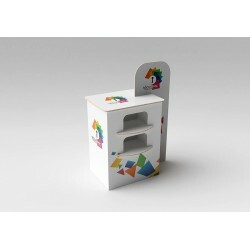 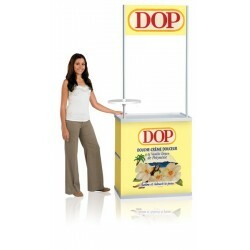 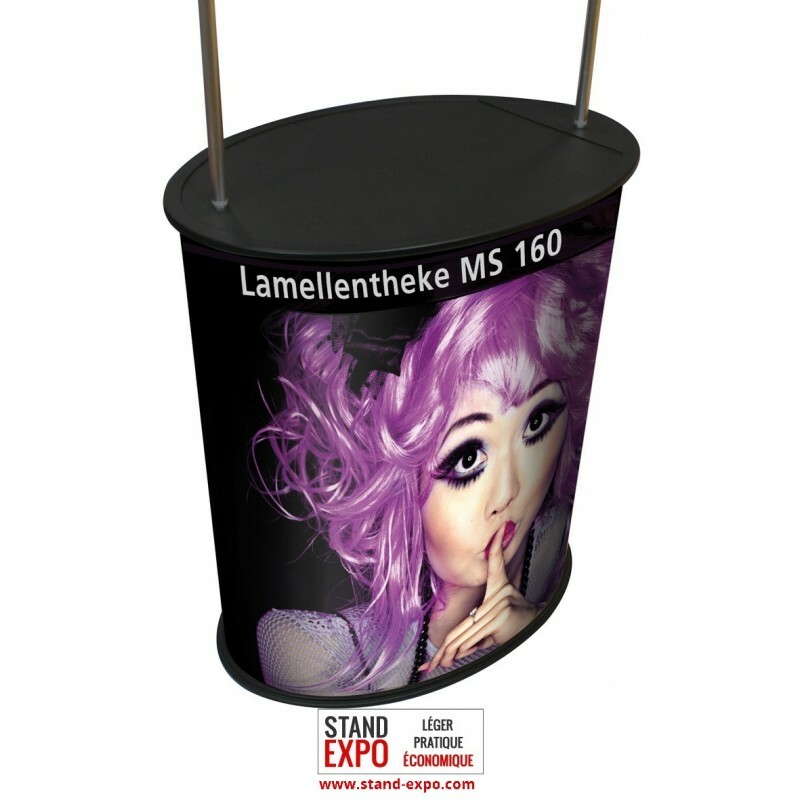 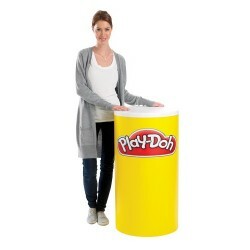 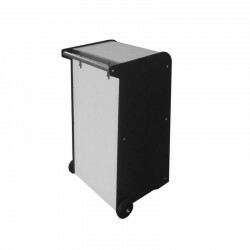 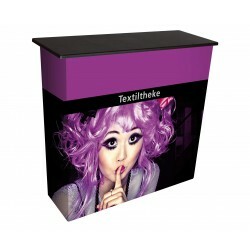 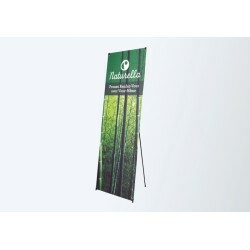 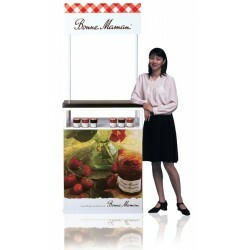 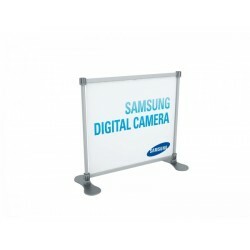 Equipped with its easily noticeable sign, this counter will offer you an excelent visibility at your events ! " 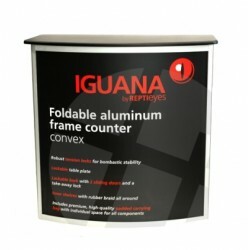 This counter equipped with its sign deploys quickly with a simple configuration, and a lightness that offers an easy installation and a maximal portability. 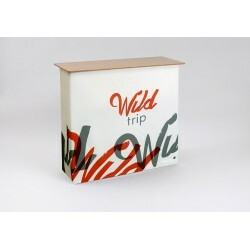 Its silver work plan offers it a sophisticated visual, that with its sign guarantees a remarkable presence.